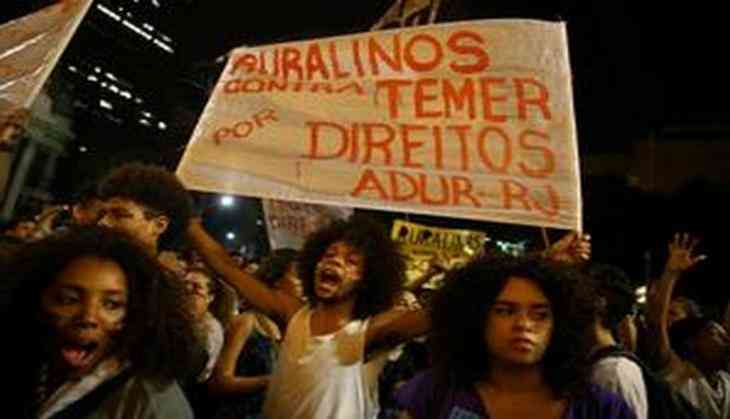 Turmoil in Brazil politics was further escalated as President Michel Temer refused to resign from his office following the Supreme Court's approval of investigating corruption scandal allegation. Amid increasing calls for him to step down, the President took to live television to inform the citizens that he will not be resigning. The Supreme Court ordered investigation following claims that Temer was taped secretly discussing payments to House speaker Eduardo Cunha, who was jailed for his role in the massive Petrobras corruption scandal. The claims soon gave rise to calls for impeachment. Several prominent Brazilian politicians have been charged on grounds of corruption in recent times. Aecio Neves former presidential candidate was the latest to fall in a corruption scandal prompting a removal from his Senate seat. One of Temer's confidants, congressman Rocha Loures, was also dismissed from office after reports of his bribe negotiations surfaced.